The art of words meets the art of grabbing attention. Our strategy was make ads that were as bold, edgy and assertive as the performers that they were promoting. 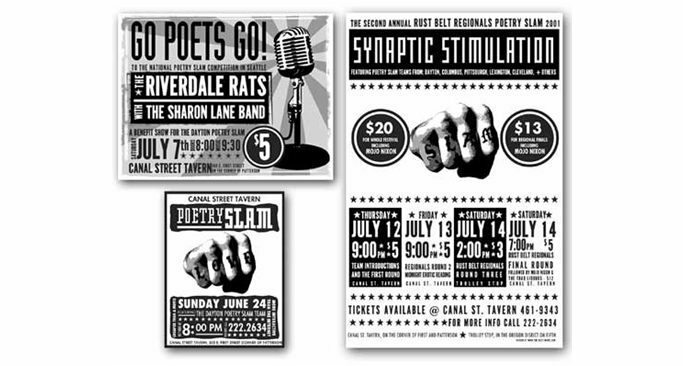 The Dayton poetry slams typically drew the same audience week after week. These ads sparked the attention of locals and got some new faces in the crowd.